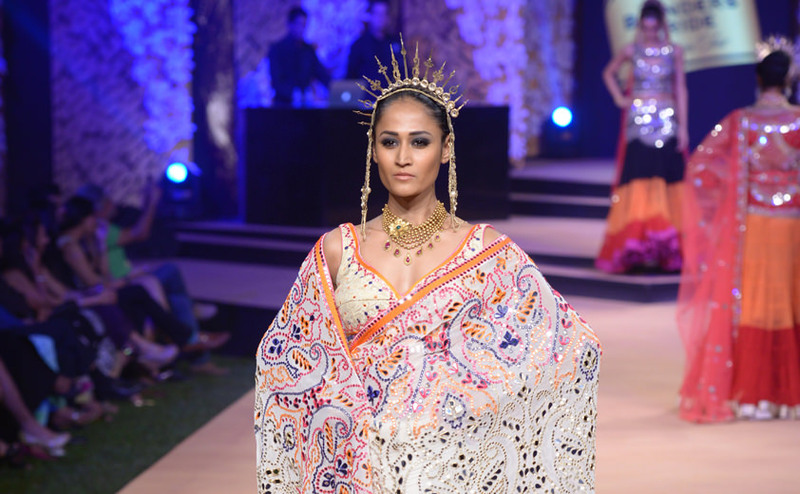 The Blender’s Pride show with Suneet Verma, was all about elaborate embroidery and surface techniques on pastel lehengas giving the bridal attire a fresh twist. Mirror work and quaint embroidery techniques were amped up by the contemporary and the stylish. Azva jewellery was showcased in interesting and alternative ways to create eye catching style with looks that are versatile yet gorgeous. 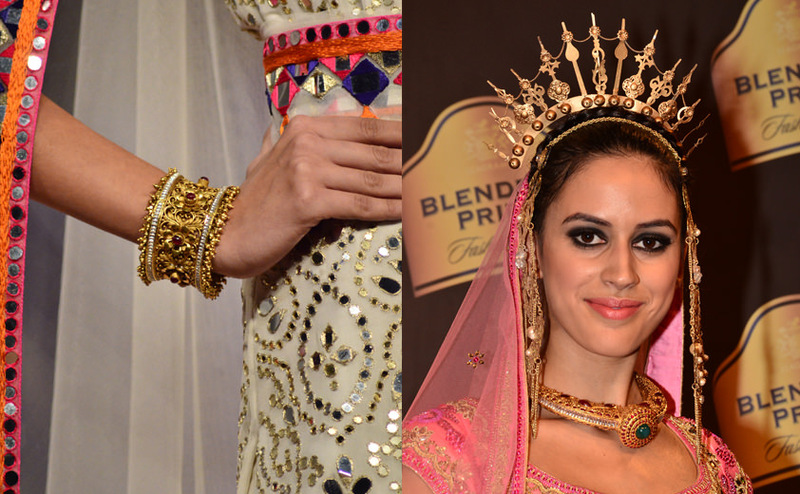 Shades transcended from ivory, creams, blush pinks and other muted tones that play up the glamour of the gold jewellery.